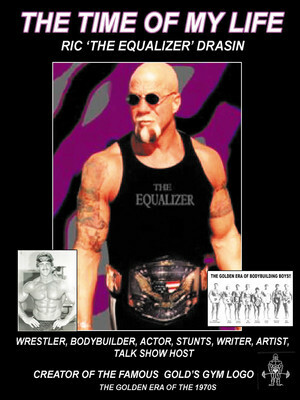 Ric “The Equalizer” Drasin is a former champion bodybuilder and professional wrestler from the golden era whose career excelled inside and outside the ring. Ric was trained by legend Mae Young in 1965 and made his debut at the Grand Olympic Auditorium. He rose to claim many championships and become revered by others in the sport. In “The Time of My Life,” Drasin tells the tale of his successes -- both personal and professional -- with great wisdom and wit. He offers insights about the evolving nature of the sport and intriguing anecdotes of encounters with stars in the business. 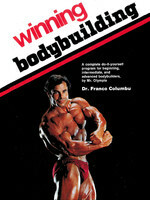 Throughout his career, Drasin has found countless outlets for his personal brand and expertise in fitness, nutrition, wrestling and bodybuilding. 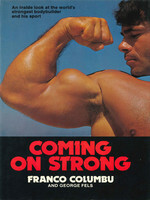 He trained with Arnold Schwarzenegger and designed the iconic Gold’s Gym and World Gym logos. 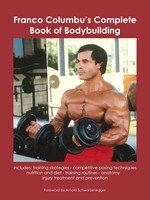 He played the Demi-Hulk alongside Lou Ferrigno and even designed a fitness clothing line. 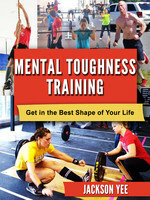 Drasin expounds on the mental toughness, heart and dedication required to truly excel in this art, as well as the applicability of a bodybuilder’s mentality to parenting and other aspects of life. At 71, Ric still stays in excellent shape and trains seven days a week. He has his own show, “Ric’s Corner,” which has an ever-growing viewership of over 25 million, and regularly contributes to The Huffington Post. He is still accustomed to beating the odds, as he recently survived pneumonia and congestive heart failure and quickly recovered. Ric is an icon and a motivator to all of his followers. He inspires people to gain self-confidence and go beyond where they ever thought they could go. For a look into Ric’s world, watch this video. Ric Drasin is a former champion bodybuilder who competed during the golden era of bodybuilding and a professional wrestler known as “The Equalizer.” Ric was Arnold Schwarzenegger’s training partner for four years, and he designed the iconic Gold’s Gym logo -- one of the most widely sold logos in the world -- and the World Gym logo. In 2012, Ric was awarded the very first Joe Gold Lifetime Achievement Award in Las Vegas. Ric still teaches wrestling in his backyard ring in Sherman Oaks, California, and has trained many champions, including World Wrestling Entertainment champion Rusev. Ric was trained by legend Johnnie Mae Young in 1965 and made his debut at the Grand Olympic Auditorium as the blond-haired blue-eyed bodybuilder “The All-American Boy.” There he met Gene LeBell, who became his longtime friend and brought him into the stunt business. Ric also played the Demi-Hulk, or middle Hulk, on “The Incredible Hulk” TV series with Lou Ferrigno. He has done numerous commercials, films and TV series, along with print work for magazines. At 71 years old, Ric still stays in excellent shape and trains seven days a week. He also has his own show, “Ric’s Corner,” which has 25 million viewers to date and is growing very quickly. The show is based on his experiences in fitness, nutrition, wrestling, bodybuilding and more, and many legends appear as guests. Ric recently had pneumonia and congestive heart failure, spending seven days in the hospital and losing 30 pounds. He beat the odds and returned to the gym after being down for three weeks. He had a speedy recovery due to proper training and nutrition, proving that a healthy lifestyle is the way to go. Ric hosts the “WWE SmackDown” review; AfterBuzz TV (produced by Maria Menounos); “Old School Wrestling” on AfterBuzz TV; “Ric Drasin Live” on emPOWERme.tv; “Tuff and Tender” on emPOWERme.tv; and “Actors Entertainment” (produced by Pepper Jay Productions). Visit the “Ric’s Corner” website: Ricscorner.com.